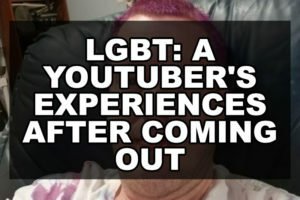 LGBT: A Youtuber’s Experiences after coming out. Whats it like being a Furry A Gaymer (or gay video gamer Gaymer for short) on youtube. My answer is not a easy one nor a grand one like most people think I am sure you have all read the adventures of love loss and coming out here on this site.But that’s only a part of me. Greetings my name is john erik madsen. on youtube i am known as. why so fluffy my video blog on my experiances of coming out and trying to move on and also as john Dingo-fox/Zuit suit bunny. What was it like to be gay in the First Big Gay Prison in the UK? It is four years – just four years since the last Winter Olympics – does anyone remember the location? South Korea in 2018 but where were they in 2014? They were in Sochi – that’s right in the heart of Russia possibly one of the most homophobic countries in the World. So, whilst this year’s Pyeongchang Games have been seen celebrations by successful openly gay medal winners – nothing like that would have happened in Putin-country! A lot can change in four years. 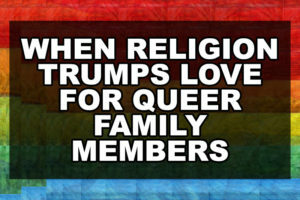 For the past four years of my life I have known that I wasn’t straight, and it was only until two years ago that I figured out that “not straight” was simply “lesbian.” Now I knew that when I came out to my family it wouldn’t be bad – my dad’s brother is gay and my mom’s best friend is a lesbian. They already support the LGBT+ community so I was safe. 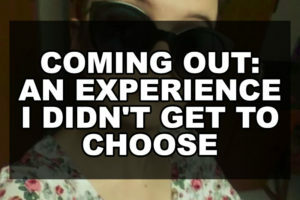 The thing that kept me from coming out any time soon was advice given to me years before: Before coming out to anyone else, you must come out to yourself fully. That way, no one can make you feel bad about who you are. 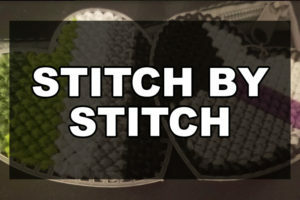 When I first thought about buying plastic canvas, it was to stitch a keychain or zipper pull in asexuality spectrum colors, probably in a demisexual pattern. 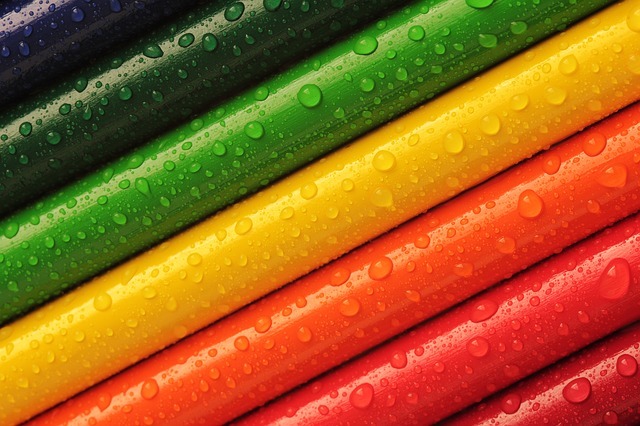 My demisexuality was solid ground, and I felt ready to wear its colors and symbols. It didn’t occur to me to stitch something in aromantic spectrum colors, at least not for myself. I would I have told you I was very alloromantic, that I’d had numerous crushes, that I had crushed on people easily for a decade. I guess my story starts the same way as many others. 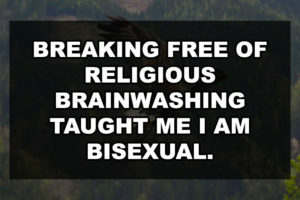 I grew up in a Christian home, believing that homosexuality is a disease and anyone who partakes is willingly “choosing to be sick”. Some of my very earliest memories are of kissing other little girls. And not just pecks on the lips, but full-on French kissing, at maybe 5 or 6 years of age. Hiding under the bed covers, pretending to be reading by torchlight, and getting in trouble from my religious mother for not being in plain view. I was 14 the first time I thought killing myself would be easier than coming out. We had gone to a 60th birthday party for a family friend, the whole family. It was supposed to be a fun saturday night that meant nothing in the grand scheme of things. But that night I heard my dad say something that has stuck with me for years. Looking back it was just a conversation between too drunk men that they both wouldn’t think about the next day and I should have viewed it as such. But I didn’t, I cried myself to sleep, wishing I could change who I was and thinking that it would be easier just to die than face who I was.